A NEW FAMILY OF ACTIVE INGREDIENTS: ACTIVE NUTRIGENOMIC INGREDIENTS. The company has over a 15 year period developed the new group of Active Nutrigenomic Ingredients based on micronutrition. Its scientific research has proven that Active Nutrigenomic Ingredients work at the level of gene transcription leading to the up or down regulation of the functioning of certain genes. The principles discovered by the company opens up a very large field of targets for the further development of Active Nutrigenomic Ingredients for nutraceuticals (supplements) and functional foods and drinks, including applications in combination with pharmaceutical drugs. This family of active ingredients consist of a combination of micronutrients that have all been approved for use as food ingredients in much higher quantities than the ones used in Active Nutrigenomic Ingredients. 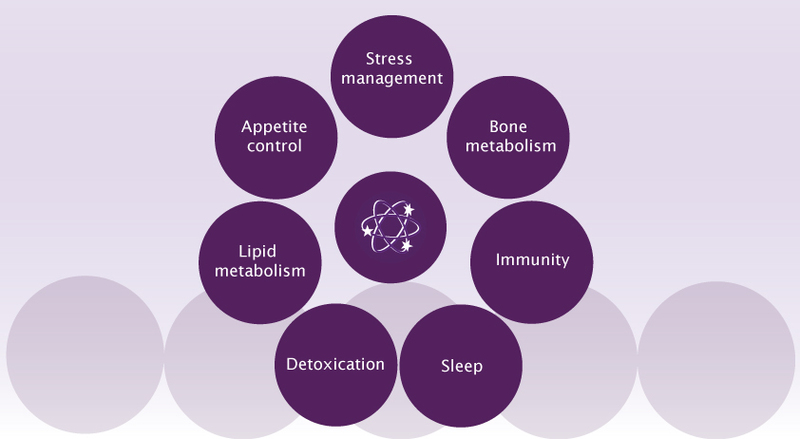 It is believed that the combined effects of ANIs promote the restoring and rebalancing of key functions, such as lipid metabolism, immune system functioning, bone metabolism and sleep patterns. Compared to other products in the market, ANIs constitute a major breakthrough for functional nutrition due to the synergistic action between a combination of components at very low doses and the substantial effect size. The family of actives could, consequently, be marketed as “natural” – both with respect to their ingredients and their method of action. Bone metabolism that restores bone mass and density. Each of these ANIs targets very important health issues that affect large numbers of people. As an example, high cholesterol and high triglyceride levels or both affect more than 50% of the population in certain countries and low bone mass and density (osteoporosis and osteopenia) affect about 8% of the population. All these actives have a superior effect compared to competing non-drug products. Active Nutrigenomic Ingredients provide both a convincing response to consumer demand for natural ingredients that strengthen biological functions and natural regulatory processes and to the ever increasing regulatory demands with respect to food safety and proven health benefits. Due to their natural composition consisting of EFSA and FDA-compliant ingredients and the possibility of proving health benefits in double blind trials, they represent the functional ingredients of tomorrow. Active Nutrigenomic Ingredients are both important for the development of functional foods and drinks and for nutraceuticals that function alone or as a supplement to drugs.